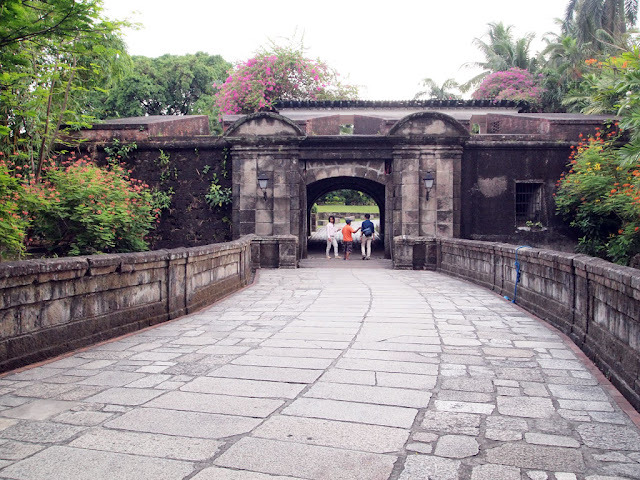 One of the most notable destinations in Manila that is a must for every visitor is Intramuros - just for its sheer historical significance and being one prime example of European fortification (and architecture) in the Philippines. I usually visit this place when I guide friends and visitors around town for a tour. 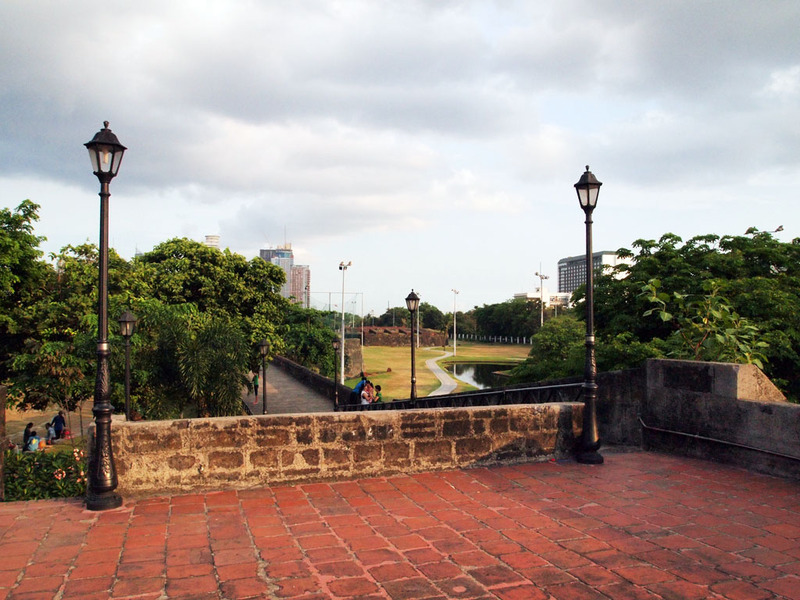 Intramuros, which means "within the walls" in Latin, is the oldest district of Manila. Founded in 1571 by Spanish governor Miguel Lopez de Legazpi, the Walled City, as it is known, became the seat of Spain's colonial government in the Philippines. 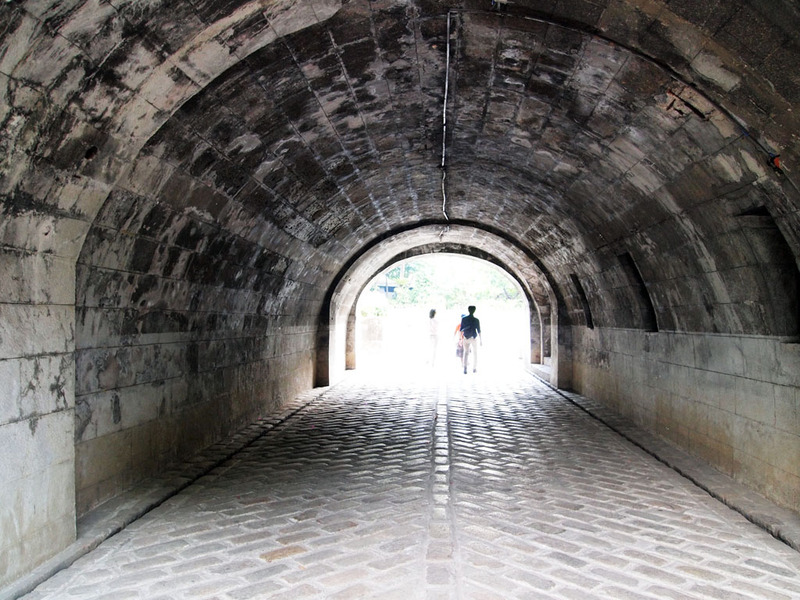 The walls, serving as a defensive perimeter around the city, were first constructed in 1590, and did not stop until well into the 19th century. Moats around the walls were added in 1610 to give the city more protection from attacks, and the defensive structure was augmented by three bastions, several bulwarks and redoubts. 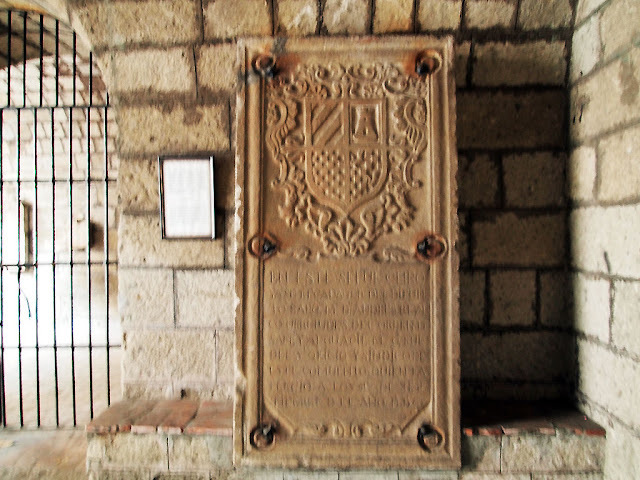 Some sections of the wall were crenelated, and cannons were installed around the structure as well. Some of the cannons still exist today, some scattered around the complex, others stored inside the tunnel-like structures within the walls. A garrison called Fuerte de Santiago, with 8-foot thick walls and armed to the teeth, was built to guard the city from Chinese pirates and insurrections. For a time the complex - consisting of squares, schools, churches, barracks and armory, and the Governor's residence, and the Ayutamiento (city hall) - was Manila itself, with the district counting the Spanish elite and notable mestizos as its residents. There was a time when Filipinos were not allowed inside the walls by night time. Many of the old families and notable Spanish officials were interred in Intramuros, buried inside the crypts built in the niches in the walls. Some of the tombstones still exist until today, and I suppose so are the bodies. 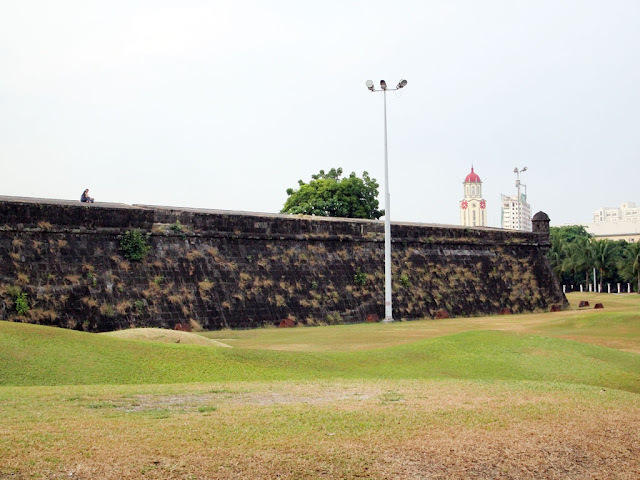 Just outside the walls but just in the range of the cannons deployed around the walls of the Intramuros is the Parian, which is the area where unconverted Chinese were allowed by the Spaniards to stay. Later the Chinese immigrants were settled across the river, in a place called Binondo, now the oldest Chinatown in the world. Two old churches survived within its walls. San Agustin church is the oldest standing church in the Philippines. A prime example of "earthquake baroque" architecture, the church was declared a World Heritage site in 1993. The other church is the neo-Romanesque Manila Cathedral, rebuilt in 1953 after the previous one was destroyed by the Japanese during the second world war. 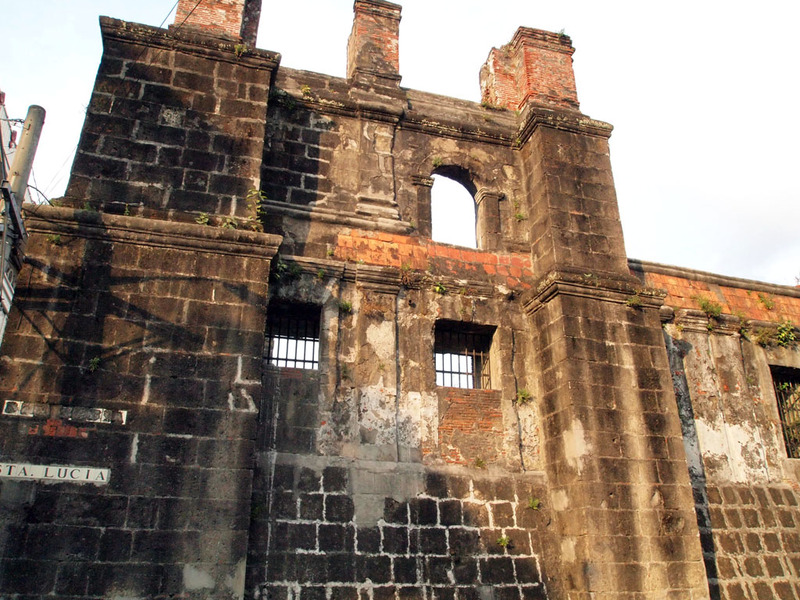 The original church was built in 1571, just about the time when Intramuros was founded by Miguel Lopez de Legazpi. 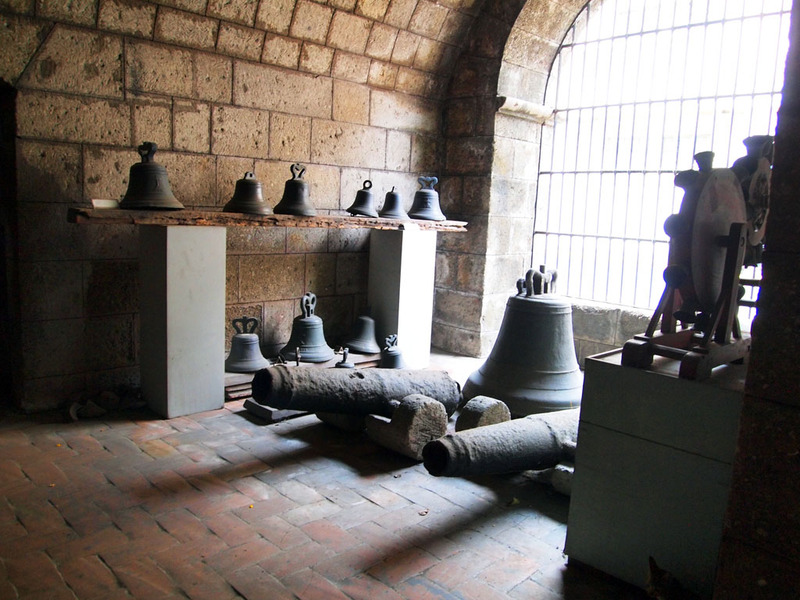 There were six other churches built inside the walls of Intramuros by various religious orders. 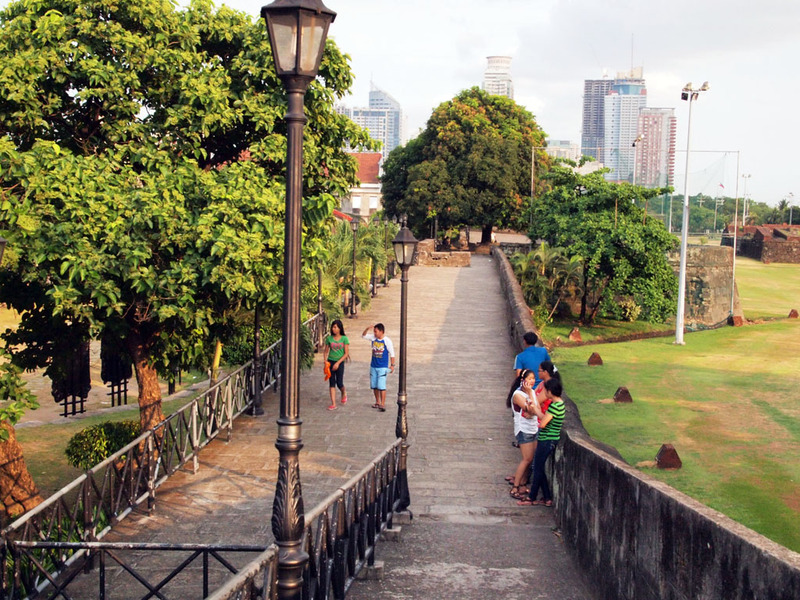 As the Philippines changed from one colonial master to the other, so is the use of Intramuros. When the Americans took over after the Spaniards, the Ayutamiento was converted as the headquarters of the Philippine Commission. During the Second World War, many of the structures inside the wall were destroyed, including some of the churches and the schools. 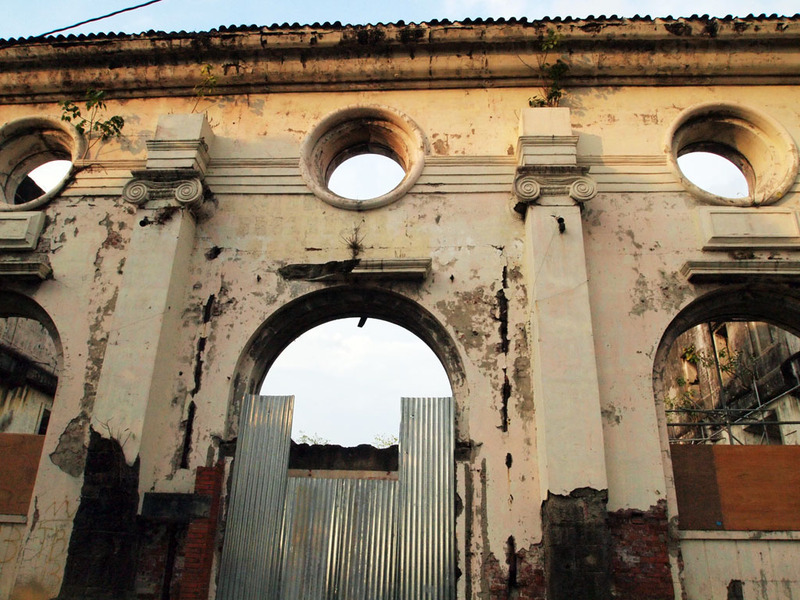 Many of the ruins are still on the site today, but some of the buildings are now being restored and rehabilitated. Take a jeepney to the city hall of Manila, take the underpass to the other side to reach the entrance. If via LRT, get off in UN Avenue station then take a stroll to the gate. Alternatively, you may get off Carriedo station and take a jeepney from Chinatown to the gate of the complex.